Open Courses are available to any law abiding citizens of the United States and our Allied Nations. TACFLOW requires applicants for training to submit documentation of responsibility before they are approved as students. Each prospective student must submit the credentials applicable to the course of instruction desired. Applications without credentials will not be accepted and student will forfeit the tuition paid. Copy of current driver’s license or other government-issued photo ID (military photo ID, government agency ID card). Evidence of no felony criminal history ( Examples: Background check from a Law Enforcement Agency, Valid Concealed Carry Permit, Valid Federal Firearms License, or Current Law Enforcement ID Card). Active Duty Military Note: Military ID DOES NOT satisfy this requirement for open enrollment courses. You will still need to submit your no-felony credentials with your ID. TACFLOW will charge a $50.00 cancellation fee if cancellation is made 15 working days or more prior to your registered course. Cancellations must be made in writing to info@tacflow.com. Cancellations made later than 15 working days will not be refunded, however tuition may be transferred to another course within 1 calendar year. No shows are nonrefundable and nontransferable. Event cancellations can be transferred to another attendee, but not refunded. Our least favorite thing to do is cancel a course for any reason. However, if the occasion arises due to low attendance or instructor emergency, TACFLOW reserves the right to cancel the program at any time with reasonable notice given to all participants. If a program is cancelled, refunds will be paid in full or you may reschedule attendance in the next available course. In the event of a cancellation, TACFLOW is not responsible for non-refundable airfares, other airfare penalties, or any other travel or lodging expenses you may incur. We will do our best to give at least 2 weeks prior notice if a course must be cancelled. I am a US citizen, or citizen of one of the Allied Nations. I certify that I am not prohibited by Federal, state, or local law from possessing or receiving firearms and/or ammunition. I will provide credentials that meet the requirements outlined by TACFLOW and that at arrival at TACFLOW, I will positively identify myself as the same person certified in the application. Range operations depend on careful control of deadly weapons by each student, and if any time during the course my cooperation is not deemed satisfactory to TACFLOW staff, my participation will be terminated. I will abide by any and all safety procedures required by TACFLOW, and I agree upon my arrival, to complete, sign and understand a “Release and Indemnification Agreement” releasing TACFLOW from liability for any injury I may sustain or cause during my training. I will be at least 18 years of age at the time of training or be accompanied by a parent or guardian. My only purpose for seeking the training, which I have requested TACFLOW to provide me, is so that I may better be prepared to provide lawful service to my employer or in performing lawful acts for my own use. I consent to having TACFLOW verify my identity and background as required under U.S. export controls, including the International Traffic in Arms Regulations (ITAR) and other applicable regulations. Military and Law Enforcement Courses are opened to active and reserve military and law enforcement personnel. TACFLOW offers some of our MIL/LE courses to qualified security personnel who are active government contractors and who serve in a paramilitary or policing role. Our handgun courses are open to employees of licensed armed security providers in good standing with the licensing authorities of their state, but must be conducted at the behest of the company, not at that of the individual, and will not be conducted in-conjunction with any of the audience outlined above. Civilians are not eligible to participate in TACFLOW’s Military and Law Enforcement Courses. 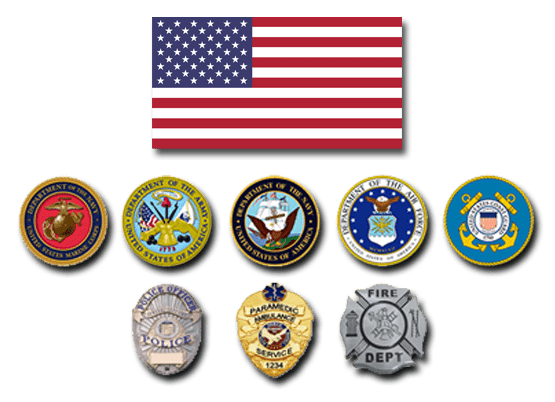 We do however provide civilian courses taught by the same instructors that teach our military and law enforcement students. These courses will not cover TTPs or Tactics, Techniques or Procedures, but will absolutely focus on fundamentals of marksmanship, safe firearms handling, and personal defense. These courses are made available to any law abiding citizen. TACFLOW requires students to be able to produce the following credentials the first day of any registered course. If credentials cannot be produced or verified, you (the student), will not be allowed to participate in said course and TACFLOW reserves the right to refund your tuition or not. Copy of current US driver’s license. Current active duty, reserve, retired MIL/LE ID card. Copy of valid CAC (Common Access Card) or verifiable current employment with a government contracting company actively engaged in US GOVT contracts in a paramilitary, security or policing role. Important Information: In accordance with ITAR Regulations, only U.S. Citizens are allowed to participate in listed TACFLOW courses. If other than US Citizen interested in TACFLOW’s training courses, please submit application and you will be contacted regarding ITAR regulations. TACFLOW will refund your entire course tuition fee if cancellation is made 45 days prior to your registered course or event. We will charge a $50.00 cancellation fee if cancellation is made 14 days or more prior to your registered course. Cancellations made later than 14 days will not be refunded, however tuition may be transferred to another course in the future. Event cancellations can be transferred to another attendee, but not refunded. WHERE DO I SHIP MY EXCHANGE/RETURN? HOW SHOULD I SHIP MY EXCHANGE/ RETURN? This question gets asked a lot, but doesn’t have a one size fits all answer. Personal preference varies from one person to the next. Our shirts are all printed on tri-blend tees by Next Level or Bella Canvas. The 50% cotton, 25% polyester, 25% rayon blend has a super soft feel, and does not shrink or stretch out like cotton. These shirts are an Athletic Cut & fit a little more snug to the body, so we suggest ordering one size larger than your regular size if you want more room around the midsection. We do! Please choose the Paypal payment option on checkout, and the shipping rate calculator will give you shipping options based on your location. All duties associated with an International shipment are the responsibility of the purchaser/recipient. All Tacflow orders are handled in-house, we do not use an outside fulfillment company. This assures the highest quality control, but also means that if our team is at a training event there may be a day or two delay. We will send a notice in these cases and appreciate your understanding. If your order was placed Monday through Thursday it will generally be shipped within 48 hours. If your order was placed Friday, the will be shipped on the following Monday (Tacflow offices are closed Saturday and Sunday, and major holidays). We do! All of our gear has a story and purpose behind it. Our training is built on excellence, and we believe our gear should be an extension of those values. You won’t find items in our store that we don’t use, wear, and believe in. All of our printing and embroidery is done through local businesses. We use “blanks” by several different vendors for our products. These are chosen for their fit and quality, and are made in varied countries. If we won’t wear it- We won’t sell it! We guarantee our merchandise to be free of manufacturing defects and will accept any defective item for exchange or refund. Tacflow Academy will issue a refund within 30 days of purchase in the form and amount tendered for the original transaction. All exchanges or returns must be unwashed, unworn, unused, and in their original condition with receipt and tags attached (when applicable). Merchandise received after 30 days will only be accepted at our discretion for an online store credit only. Tacflow Academy will only refund shipping charges if we discover that Tacflow Academy was responsible for sending the wrong item or the item sent was defective. If you are making an exchange because you would like a different size, style or color, your will be charged a $5 flat rate for the return shipment. The exchange/return value is determined by the last retail price of the item. *PLEASE NOTE* We do not accept returns on products that were not purchased via this website. Use priority mail flat rate shipping for your return. We cannot reimburse you for an amount greater than your purchase amount. Exchanges & Returns will only be accepted after completing the RETURNS & EXCHANGES online form. (1) Complete the EXCHANGES & RETURNS online form (and then wait for confirmation). (2) Login to My Account, and print out a copy of your original order. (3) Securely package up your unused/unwashed garments, and a copy of your original order with any additional notes. * We highly suggest shipping your exchange/return with a carrier who will provide you with a tracking number for your shipment to ensure that your package does not get lost in transit. Packages MUST be returned prepaid. We do not accept COD. If your package arrives to Tacflow Academy as COD we will request that it is returned to sender. Once your package has been received by Tacflow Academy, your exchange difference or refund will be processed within 7 business days, minus the $5 flat rate return shipping fee (Please refer to our Exchanges & Return Policy above). If there is a refund due, a credit will be issued in the original form of payment. The credit adjustment may not reflect until the next monthly billing cycle for your credit card. You will be notified via email to the address listed on your order once this transaction has been initiated. *PLEASE NOTE* Once your banking institution has received the transaction information from our offices, they may require additional days to process and post the update to your account. When processing your exchange/return we automatically credit you in the original form of payment (refund) or reauthorize a new payment for your exchange. All credit adjustments are processed instantly once the transaction is made byTacflow Academy. You must contact your financial institution to ensure that they have accepted, and cleared the transaction on their end. If you have used a banking or debit card your financial institutions policies may result in a non-sufficient funds charge if you are executing an exchange/return.